As you are researching spinal surgery, you may come across something called “Adjacent Segment Disease.” This disease occurs when patients develop new spinal symptoms next to, or adjacent to, the place where they previously had spinal surgery. 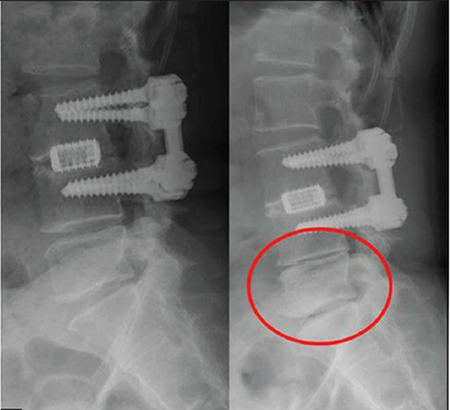 Adjacent segment disease is linked to fusion surgery because this type of surgery immobilizes parts of the spine. Since the spine is made up of many moving parts, if some of those parts can’t move, other parts of the spine could experience stress, strain, and damage. If this happens, the spine could start wearing down or degenerating. Through fusionless surgery, or vertebral body tethering (VBT), the risk of long-term adjacent segment disease is minimized. Rather than immobilizing the spine, fusionless surgery actually preserves spinal growth and function, allowing your child to grow naturally and function normally.